The inaugural ODI took place when Australia played host to England at the iconic Melbourne Cricket Ground (MCG) on 5th January 1971. Interestingly, the format used for that particular game was 40 eight-ball overs per side. Since then, the game has witnessed numerous changes ranging from fielding restrictions to floodlights, and 50 over cricket has become the norm. Till date, as many as 26 teams have contributed to a combined total of more than 3500 ODIs. 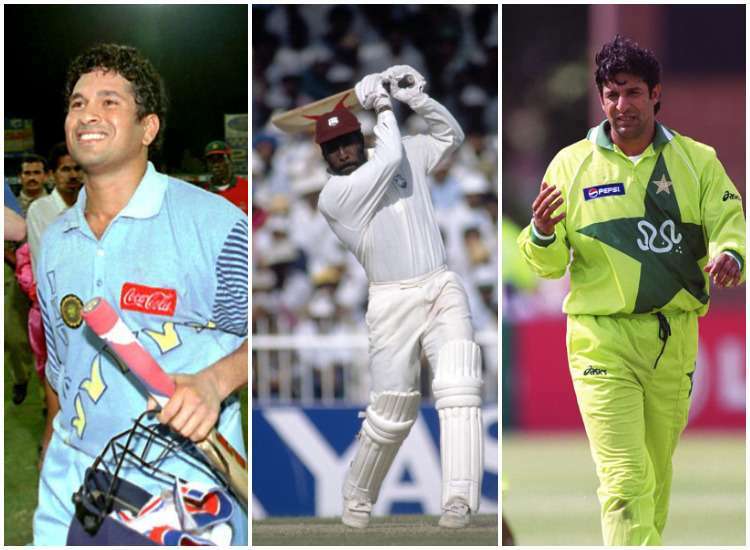 Picking an all-time ODI XI from countless names is an arduous but rewarding task. Here are a few factors which have been taken into account while selecting the players. – Only cricketers with at least 150 ODI caps are considered. – The qualifying criterion for specialist batsmen is 5000 runs at an average of 40 or above. – The cut-off point for specialist bowlers is 250 wickets at an economy rate of less than five runs per over. – For all-rounders, the qualifying criterion stands at 2500 runs at an average of 30 or above and 125 wickets at an economy-rate of less than five runs per over. – Aside from taking at least 200 catches and carrying out a minimum of 25 stumpings, a wicket-keeper should have also scored 2500 runs at an average of 30 or above. – Performances in World Cups, Champions Trophies and other multi-team tournaments are given greater importance. – Not relying on numbers alone, significant emphasis has been placed on the given player’s ability to change the game under any circumstance. Versatility is often attributed as the hallmark of excellence in any field. Sachin Tendulkar’s achievements in cricket certainly reflect his innate ability to suit his style of batting to the needs of the prevailing era. If he pulverised bowling attacks during the 90s, the stalwart added the weapon of stealth as the millennium wore on. During the final phase of his career, he revisited the splendour of youth and batted with unrestrained panache. The dominant centuries against Australia in the 1998 Coco-Cola Cup at Sharjah stand as the twin towers of his ODI legacy. No batsman has scored more career runs or amassed as many as centuries as the ‘Little Master’. Tendulkar’s insatiable appetite for run-making has earned him a resplendent place in the annals of greatness.